presentation generated a great number of thoughtful audience questions. Thank you, too, to our co-sponsoring groups: Green Bellevue, Nebraska Sierra Club, OTOC’s Environmental Sustainability Action Team, and Nebraska Conservation Education Fund. Starting April 1st OPPD residential customers will be able to purchase “solar shares” in the program. Each 100kWh share will cost 79 cents, which will be added to your monthly bill. Eight-thousand shares will be available. A five-year contract commitment and a one-time, refundable $100 fee will also be required to participate in the program. Commercial enrollment will start in June 2019. OPPD “solar shares” will not offset a customer’s energy use. 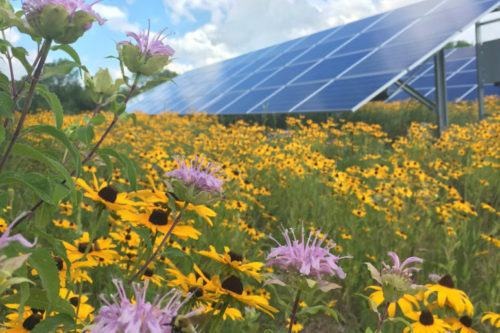 Each share will contribute to the building of a utility-scale solar project. The program is similar to OPPD’s original Green Power Program in that it supports renewable energy. OPPD has stated that the Green Power Program, which is voluntary and doesn’t require a participation fee or a contract, supports wind energy development. contribute to a specific renewable energy project, the 5-MW solar farm in Ft. Calhoun, which Heather said during the presentation NextEra Energy Resources has started to construct. 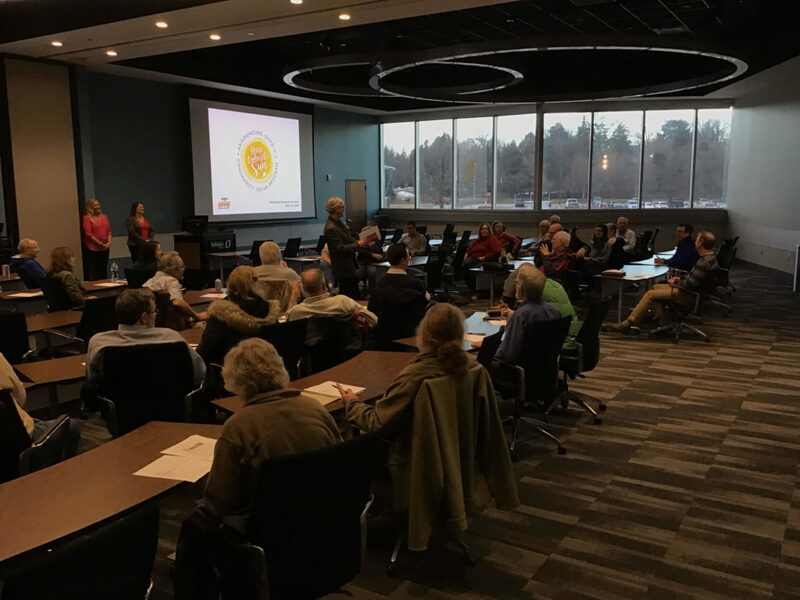 This entry was posted in Community-Scale Solar, Nebraska / Midwest News and tagged Omaha Public Power District, OPPD's Community Solar Program on March 14, 2019 by Helen Deffenbacher.